Another cool messaging widget added to Premium Addons PRO today, WhatsApp Elementor integration is now available in PAPRO 1.0.7 Update now to be able to use it. 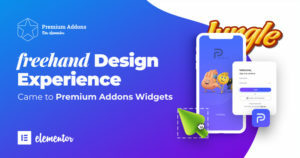 WhatsApp widget allow your website visitors to contact you easily using the app they already use and love. If they are surfing your website from their mobile they will be transferred automatically to WhatsApp with your number to just write the message they want to send, And if they use if from their computer it will open WhatsApp Web for user to send the message. You can add as many WhatsApp widgets to your page as you want with different phone number, for example you can dedicate a button to sales and another to support. It also has many customization options for example you can place it as a button or as a floating button. Also you can control its position, colors and many other styling features. PAPRO now includes 2 messaging platforms integrations. WhatsApp, Facebook Messenger and more coming soon.